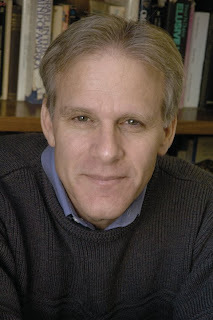 I want to hate Michael Oren. He's not only a terrific historian, eloquent and clear, but he's also far too dashing for his own good. Oren, who was born in the US but has called Israel home for decades, is also a fervent Zionist, an army reservist who has served as a government spokesperson during times of war, and a father of a serving soldier. And now, as if I couldn't hate him any more, he's Israel's new Ambassador to the US. If Benjamin Netanyahu is remembered for anything it may be this brilliant appointment of a most deserving and appropriate candidate. I've never met Michael Oren, unfortunately, but I would welcome the chance to tell him in person what I'm writing here. Mr. Oren, serve us well. Be honest. Be passionate. Be yourself. Make a difference. And good luck. If you're not familiar with Michael Oren, you deserve it to yourself to read some of his political and historical articles (and get out there and buy his books, too. 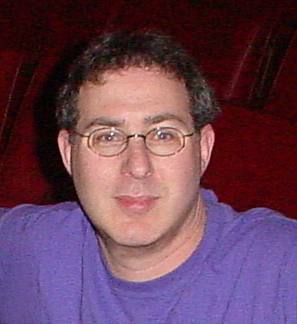 Oren is the author of Six Days of War: June 1967 and the Making of the Modern Middle East and of Power, Faith, and Fantasy: The United States in the Middle East, 1776 to 2006.) He never fails to educate and entertain. The New Republic has made available a long list of articles, all worth checking out. "Unfriendly Fire: Why Did Israeli Troops Attack The USS Liberty?" from July 23, 2001 is essential reading. Michael B. Oren | Is "Jewish state" a contradiction in terms? Michael B. Oren | Israel’s third prime minister offers a different model of Jewish leadership. Michael B. Oren | Fifty years later, the lessons of the Suez War are only now becoming clear. Did Israel Want the Six Day War? Michael B. Oren | Newly released documents reveal the government's true motives during the tense weeks leading up to June 5, 1967. Michael B. Oren | Adam Sandler's hit comedy reflects a deep divide between Israeli and American Jews. Michael B. Oren | The new historians take aim at the father of the IDF. Michael B. Oren | June 8, 1967: Why did the IDF open fire on an American spy ship? UPDATE: Two more articles, both from Commentary Magazine. Does the U.S. Finally Understand Israel? Posted by Morey Altman at 5/04/2009 11:52:00 a.m.